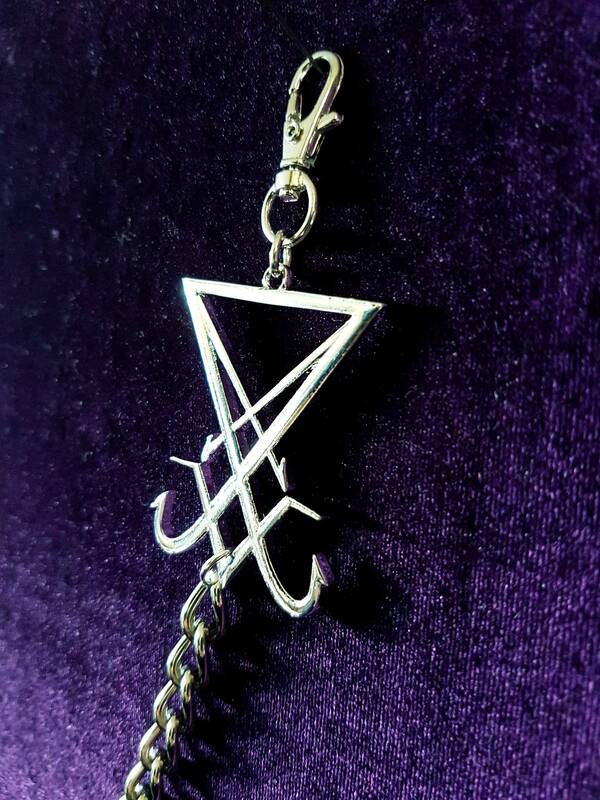 Sigil of Lucifer Wallet Chains. 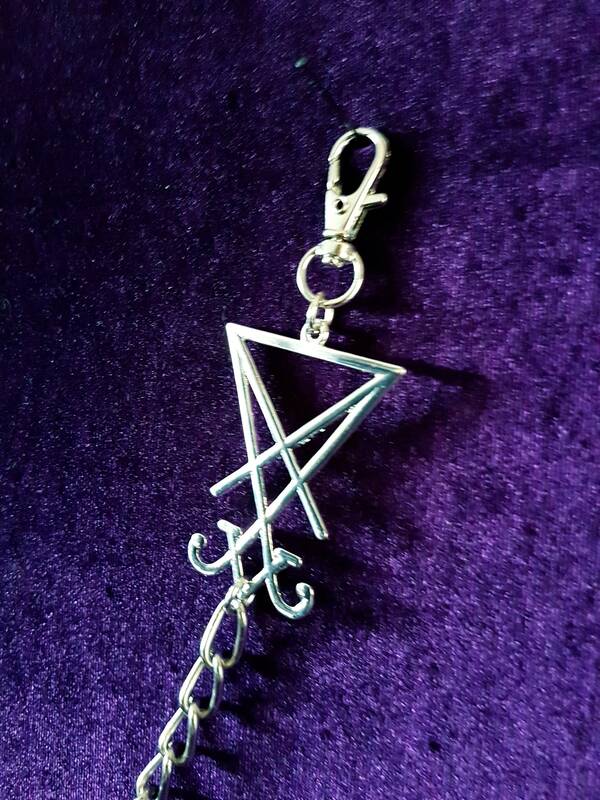 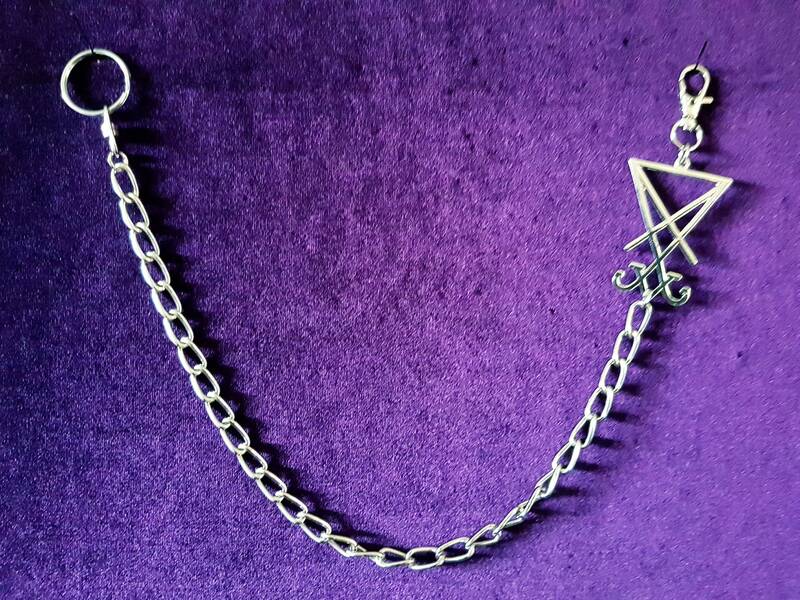 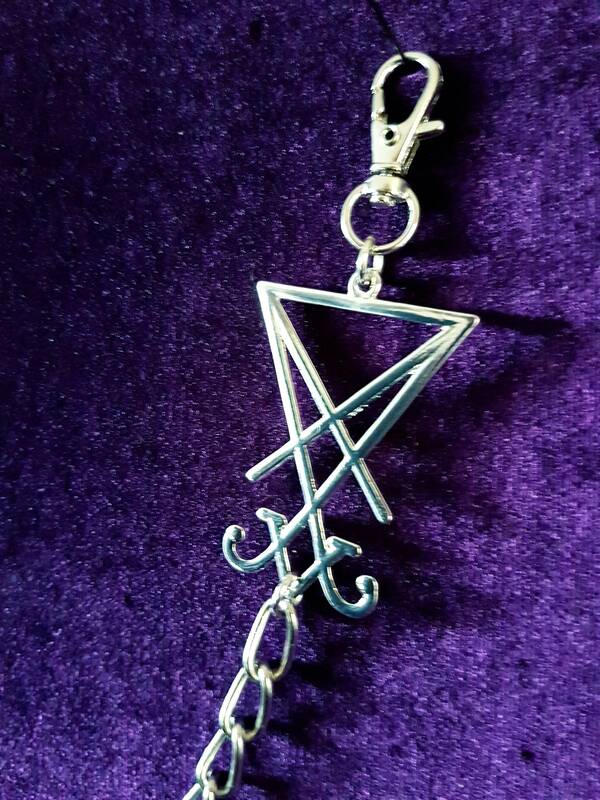 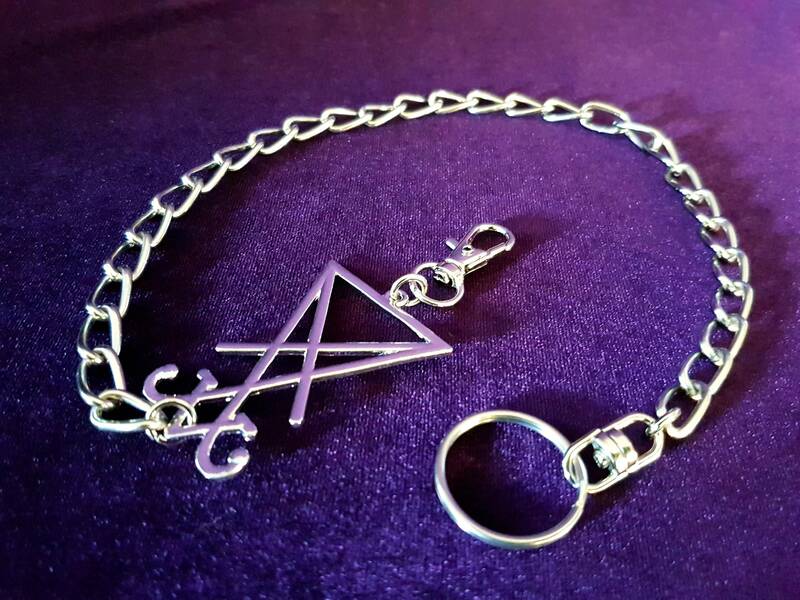 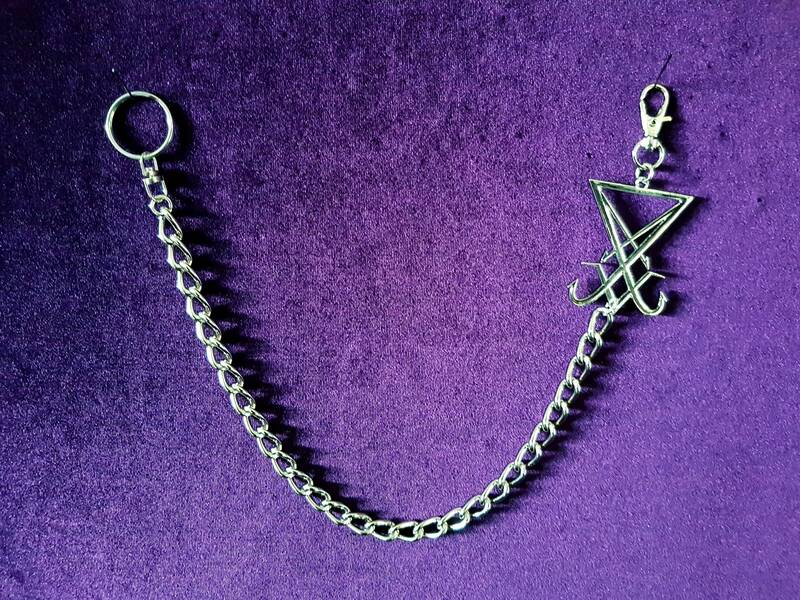 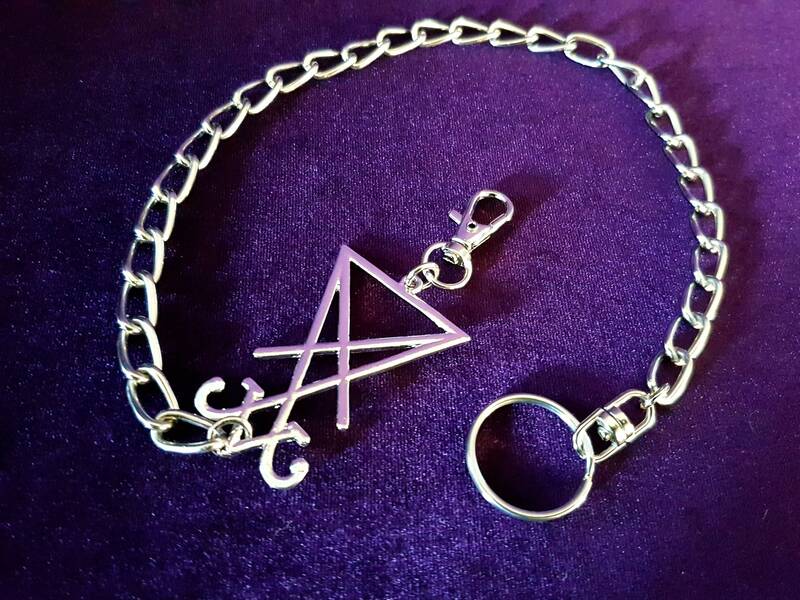 Wallet chain with a pointy arrow shape end Sigil of Lucifer & big shackle chain. 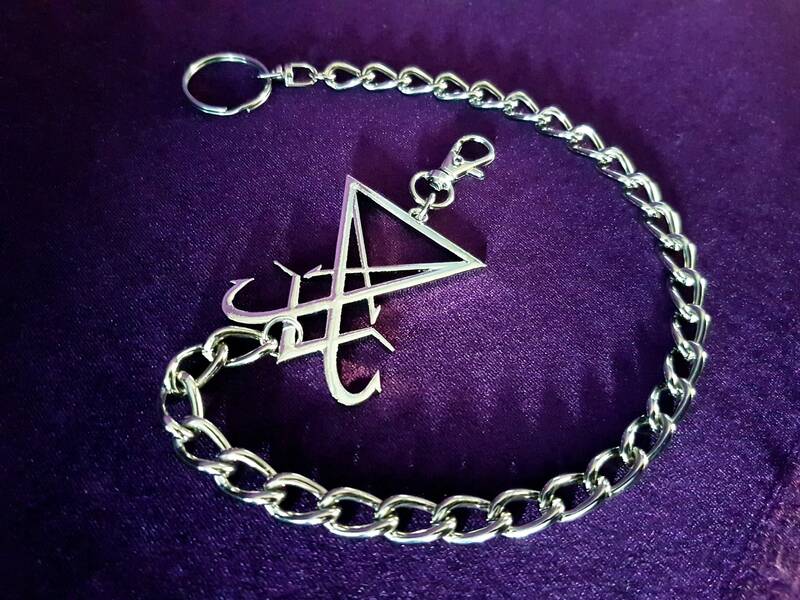 Wallet chain with a curved traditional Sigil of Lucifer & smaller shackle chain. 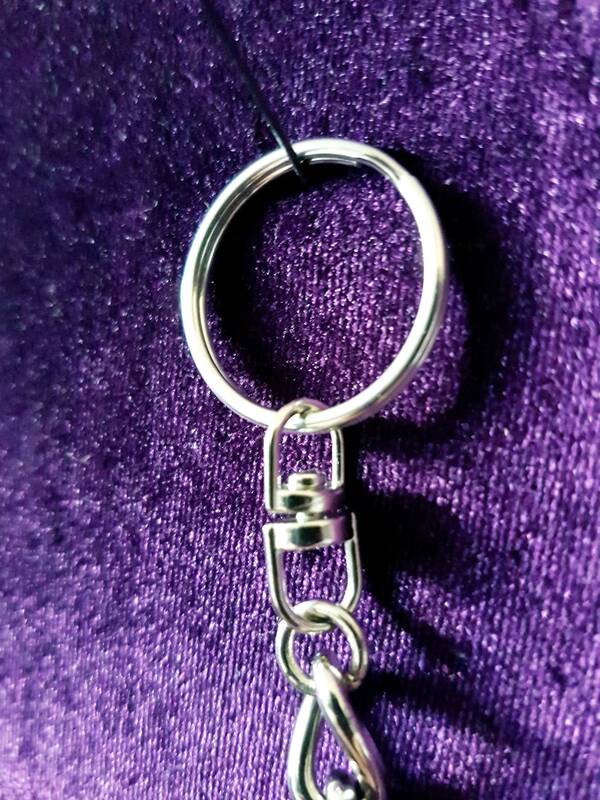 - Both keychains are 43cm in total lenght. 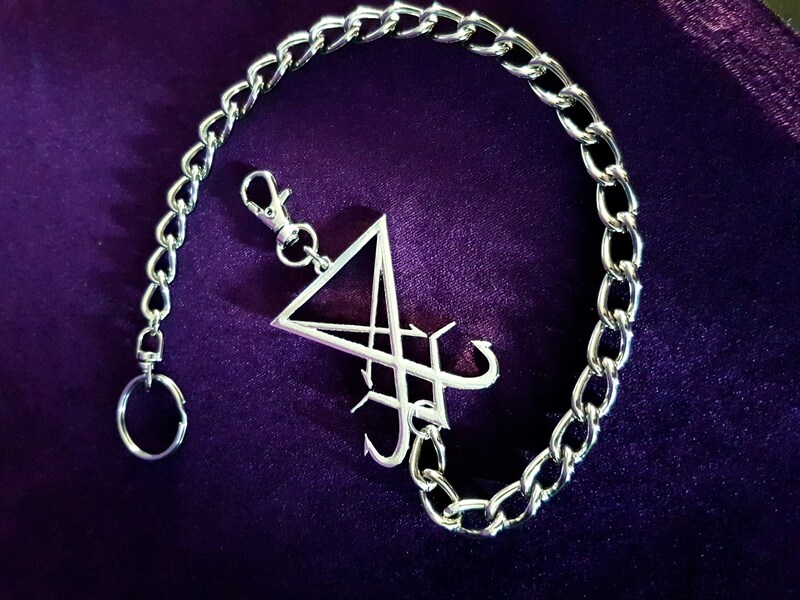 - Both Sigils of Lucifer are 5cm in lenght.